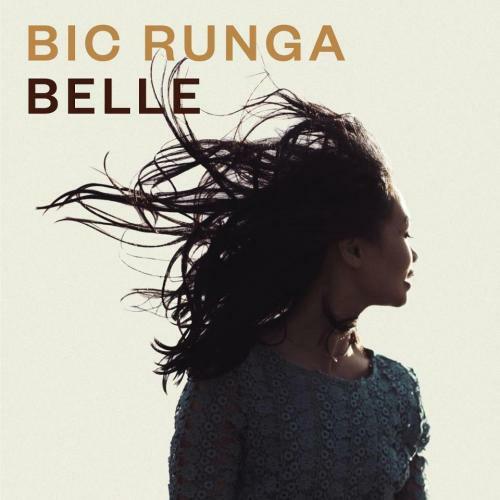 SnapCacklePop: SnapCacklePop Interview - Bic Runga..! 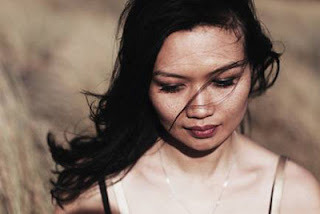 SnapCacklePop Interview - Bic Runga..! A couple of week ago, we had the pleasure of attending Bic Runga's showcase of her new album Belle. We were lucky enough to grab some time with the lovely, beautiful and talented Sway singer to talk about the new record, becoming a mum, getting stuck in a housewife vortex, what she loves about touring and cake fights..! Check it! Hey Bic, how you going? And welcome to Australia, how you finding it? I love it here, the food is so yummy and fresh and the weather is better, people are happy… are you guys happy? We seem to be, only when we get good weather! You have been MIA for a while now, as it’s been six years since your last studio album. What have you been up to? It does take up some time? You’ve got a new album out; tell us about the inspiration for Belle? Just like any new mum, just trying to get back to work. It was all consuming being a mother and I just, man, needing to do something for myself. Its just like someone going back to the office. You play a lot of musical instruments yourself; do you play many on this album? This is a very unusual record for me, as I hardly play any instruments on it and I didn’t produce it for a change and I didn’t write all the songs. As your partner produced it correct? Yeah that’s right, his name is Kody Nielson. He’s from a band called Opossom and I play in his band too. We met on this record, my publisher put us together, we wrote some really good songs and he ended up producing the album and did an amazing job. So you didn’t mind handing so much over to him? I didn’t mind at all, I really trusted him and that’s a big deal for me I suppose. I did I just completely trusted him. That’s great to hear and you can hear that from the results of the beautiful album you have produced. Your last single was Hello Hello, can you tell us about the video? Well my son is in the video and actually Kody is the donkey guy. So what’s the video actually about? I don’t know what it means… don’t ask me that! I have no idea..! Talking of your son, does he want to go into the music industry, what does he want to do when he is older? He’s only 4, so is just obsessed with toys at the minute, he actually says he wants to be a toy maker and I think he watches me playing with my band and he just not interested in it, which is great. So you will not encourage him into the music industry? Yeah we are a very musical family. Do you seek advice from her still? Yes I do, so there is no competition. She’s six years older, I look up to her and yeah, I think she’s a bit of a hero. So can you let us know what the next single is going to be released? Its out pretty soon called Tiny Little Piece Of My Heart, we’ve already made the video and it will be out soon. And has it hit the radio yet? No not yet, but soon. You are currently in Australia promoting; do you have plans to tour? And you are heading over to UK and visiting Ireland and the UK? Yeah I am doing Shepherds Bush Empire in London and its exciting, to be away for 5 years and still be able to play that venue. You have lived in Paris, New York and London – in order of preference how would you rank them. I feel in love living in Paris and have always thought I will be a little old lady in Paris. I miss it but in the meantime I’m home in New Zealand for my son and the schools and everything and of course family. And going on tour, promoting the album and being away from your son, is that the hardest part of touring? What don’t you like about touring? I really love it, my son often comes with me, he didn’t this time, however there is nothing I don’t like about touring. I even like the waiting around, I’ve learnt to love it. Did you meet the Queen back in 2006 when she made you a member of the New Zealand Order of Merit in the New Year's Honours List? No I didn’t, and this is shocking, I didn’t actually go to the ceremony! I know it’s a little bit punk, I just didn’t go and I can’t remember why..! Which is not to say I don’t appreciate it, I really appreciate it. Actually I think I was away at the time. Do you know where your Order of Merit is? I have a plague, which I haven’t put up on the wall yet, I have a badge somewhere and I’m not trying to sound ungrateful, I was really honored and it means a lot to me and my family. What chocolate bar best describes you? You have met the Queen, if you were Queen for the day what would you do? Roll around in cake for the day just coz I can! (laughs) I like the idea of having a big cake fight in Buckingham Palace. What’s the funniest thing that has happened to you on tour? I can’t get over that Jimmy Page from Led Zeppelin came to one of my shows in London. That was pretty cool. I would love to be able to fly. I’ve had flying dreams all my life and its strange that your body knows what that feels like in your dream. I don’t know how your body knows that’s sensation but I want to be able to fly. So what else is planned for 2012? I just want to get going again. I am hungry to make more music. I don’t want to go back to a 5 year break again as it was actually pretty dark in a way. How was it dark? What do you mean? I guess I was sucked into the housewife vortex for a while, and you don’t know when its gonna end. So I’m relived that I have this great child and I’ve got this great career and I manage that better and I want to make more music. And you speak of Joe there with so much love, what makes him so great? He’s just such a little dude and we are really lucky. He’s really good company and he’s really funny and we laugh. That’s what I’ve learnt about parenthood, if you can have a laugh with your kids, that’s heaps. Check out the new video from Tiny Little Piece Of My Heart. Bic Runga album Belle is available on iTunes now.